I spent nearly three and half weeks in Napa Valley this year. Temperatures were already un-seasonally cool in April, which delayed bud break at a number of properties I visited. A few weeks later, in mid-May, it was even more unseasonably cool. Maturation continued at a snail’s pace throughout the cold summer. A rainstorm on October 10 caused quite a bit of worry, as sugars dropped. I arrived on the 12th to find winemakers and oenologists very nervous. All but the Bordeaux-trained winemakers, that is. The Bordelais seemed totally nonplussed by weather conditions that changed every few hours. The rest of my 12-day trip saw huge diurnal shifts, cold, foggy early mornings on the valley floor that resembled scenes from Piedmont rather than Napa Valley, very hot afternoons, rain, cold nights, and pretty much everything in between. The weather finally turned for the better towards the end of the month, but not before yields had been lowered dramatically in an attempt to achieve ripeness. The first thing that can be said with certainty about 2011 is that production levels will be down, in some cases quite sharply. I only tasted a few wines in tank, but they were beautiful, and there is every reason to think conscientious, patient winemakers will have made good wines. Readers who want to see the 2011 harvest in action may want to take a look at the videos I filmed at Sloan, Blankiet and Kapcsándy. The 2010 Cabernet Sauvignon and Cabernet-based reds are big, powerful and viscerally thrilling wines. The year was once again characterized by a cold, long growing season, with a few massive heat spikes, just to give winemakers fits. The trick was not to de-leaf too aggressively, as those who did suffered the fate of scorched fruit when the heat arrived. Winemakers who knew how to handle the challenges of the year were rewarded with fabulous – and in some cases, spectacular – wines. The 2010s are intense, structured wines that are likely to take time in bottle to come around. The best wines have expressive, gorgeous bouquets and plenty of ripe fruit, all supported by vibrant minerality and notable structure. There is a bit of both 2008 and 2009 in the 2010s, but there isn’t a whole lot of early appeal (for that readers should look to 2009). Readers who can wait will find a number of great wines in 2010. Personally, it is a style I like very much. The 2009 reds are gorgeous, beautifully balanced reds with silky tannins, radiant fruit and huge early appeal. 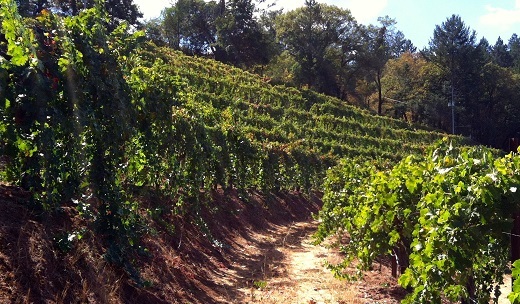 The trick to 2009 was picking before the mid-October deluge, or waiting until the rain dried, as a few producers did. The 2009s are intensely perfumed, mid-weight, gracious wines that will deliver considerable pleasure right out of the gate. Unlike 2010, I didn’t taste a lot of wines that appear to be built for the very long haul, but I doubt that will be too much of an issue. Overall, I found 2009 to be a very consistent vintage – certainly much more so than 2008 – both within producers’ ranges and also from wine to wine within specific portfolios. Several major events characterize 2008; a devastating spring frost that lowered yields dramatically, heat spikes in May and June, and highly fluctuating summer temperatures accompanied by drought conditions, and bruising heat spikes in late August and early September. These key events, along with generally uneven conditions, mark the wines to greater and lesser degrees across the valley. As a result, quality is inconsistent across the board. Some wines show more cool-weather characteristics - especially in their tannins - while others seem more affected by the heat. In general, the quality of the tannin is less polished in 2008 than it is in either 2009 or 2010. It is impossible to spend time in Napa Valley and not notice the constant merry-go-round of winemakers and consultants. Ask a winemaker about a wine that was made before her tenure and you are likely to get a fuzzy response at best. At worst, you will get a glazed-in-the eyes look. There is a certain amount of impatience in today’s culture. I get it. But owners need to make sure they are constantly tracking and building a library of institutional knowledge. So often when one person leaves a winery or project, so does their knowledge, and that is a recipe for long-term ineffectiveness. It is not uncommon to see a ten-year-old property that has been through three or more changes of winemaker. The new person/team comes in, retrains the vineyards, recrafts/redesigns the blends and makes changes to overall winemaking, all things that take at least 2-3 years to yield results. Then they leave. Then the new team comes in and repeats the process. You get the idea. Lack of continuity remains one of the biggest challenges for winery owners in Napa Valley. On a more positive note, it is equally impossible not to notice how many top estates employ young winemakers, including (in no order) Screaming Eagle, Futo, Ovid, Bryant, Schrader, Snowden, Colgin and others. Given that the overwhelming majority of vineyards in the Valley were re-planted following the failure of AxR1 rootstock, there is every reason to believe that Napa Valley’s best days lie ahead as the vineyards age and today’s new generation of winemakers enter the prime of their careers.